An international Summit at Las Palmas, Canary Islands for presenting climate change in the Islands. ​OTIE will be there to introduce the Sicilian condition. ​OTIE and SOCLIMPACT partners working together on impact chains, modelling methodology and indicators to evaluate the impacts of climate changes on Blue Economy Sectors. 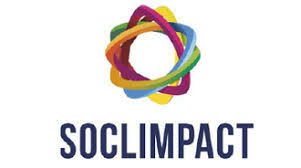 ​OTIE and SOCLIMPACT partners working to verify the progress of the project and plan the next activities.